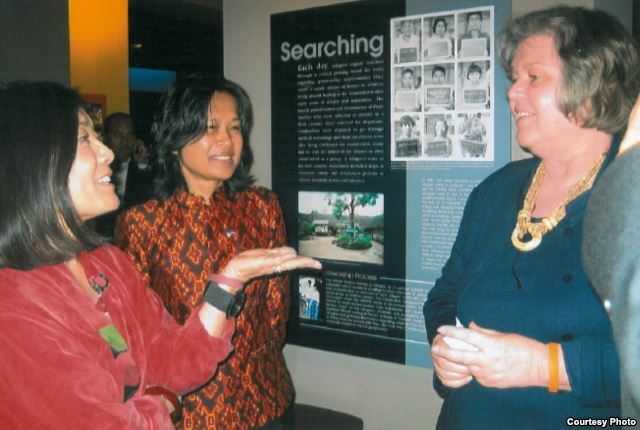 IIMS - Asean: Cambodia - The Failure of Cambodian Resettlement in the U.S.
Cambodia - The Failure of Cambodian Resettlement in the U.S.
From the 1970s to the 1990s, as many as 100,000 Cambodian refugees resettled in the United States. But far from finding a sanctuary, many Cambodians in America have grappled with poverty, mental health problems and social isolation. WASHINGTON DC — As a child, Jennifer Ka could not understand why her father was always angry. He seemed unable to love her and her siblings. “It was very painful that I could not connect with him. He was really never there and present with us because he was stuck in his trauma; he never told me what happened to him in the Khmer Rouge,” said Ka. ​Ka was born to refugees who resettled in the United States in the 1980s. Her parents survived the murderous Khmer Rouge regime, but were unable to leave behind the memories of that time. The scars of the past were compounded by poverty once in America. “We always had to worry about having enough,” she said. Many Cambodian-American families experience a disconnection due to the trauma suffered by the parents, says Mary Scully, program director at Connecticut-based Khmer Health Advocates. “Sixty percent of parents who went through the Pol Pot regime have mental health issues. If they have flashback, if they get anxious, then they go from being connected to be disconnected with their kids, which is very confusing for the child” said Scully, who has spent over 35 years working with the Cambodians both in the refugee camps and in Connecticut. Since early 1990s Mary Scully and other dedicated advocates have been conducting a number of research on mental illness among the Cambodian community in the U.S., which show a strong linkage between mental illness and chronic diseases. Compared with the average across the U.S. population, Cambodian-Americans have twice the rate of type 2 diabetes, seven times the rate of depression, and 15 times the rate of post-traumatic stress disorder, she said. “We were seeing mental health problem in the community right from the beginning. The people had bad headaches, nightmares. They are anxious. As time went on, we saw that wasn’t going away,” said Scully. But the right kind of help was never enough in the community. “We knew what their problems were. We knew that they needed an intense of help, but we never gave it to them,” she said. Things were made worse when, in 1996, the U.S. Congress reformed its welfare policy to cut down the assistance provided with food stamps, shelter, and other benefits, and that affected the refugees who were not naturalized citizens. Many community-based organizations then had to shift their focus from what they were mandated to do on economic development, to help people get citizenship. Today, Khmer Health Advocates is one of only a few community-based organizations supporting the community, compared with about 100 before 1995. The policy of resettlement was fundamentally flawed, argued Professor Eric Tang at the University of Texas. Tang recently published a book about Cambodian refugees in the Bronx, New York City. “It’s the failure of a social state that doesn’t provide enough support for them as a transition from being refugees to immigrants to resident, but sooner cut their welfare and others from support that they need to really build the life here in the U.S.,” said Tang. 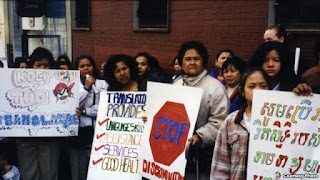 Tang was a community organizer working with the Cambodian refugee population in the Bronx in the 1990s, where the refugees had a challenging resettlement experience. Additionally, he said, there was no long term plan to help refugees to establish themselves economically when they arrived in the U.S. “The resettlement policy doesn’t pay attention to, for instance, job training. [It didn’t] allow people to heal from their trauma, before we push them into sweatshop jobs,” he said. That mean that many children of refugees ended up unemployed, often becoming involved in criminal gangs. Many of them were convicted of crimes, and have been deported from the U.S. to Cambodia, a country that they may never have visited. Ka, however, returned voluntarily. She decided to visit Cambodia in her early 20s. She was born in the U.S. and barely speaks Khmer, so knew very little about the country. But, she said, she would come to call it home. 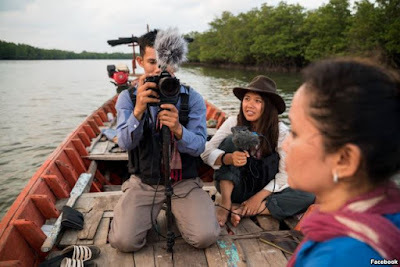 “Not until I came to Cambodia, did I come to understand my history, be there with my land, my people, and feel that I was finally home," she said. "Then I started to deeply understand the pain my parents' suffered from the genocide that I was not aware of before."